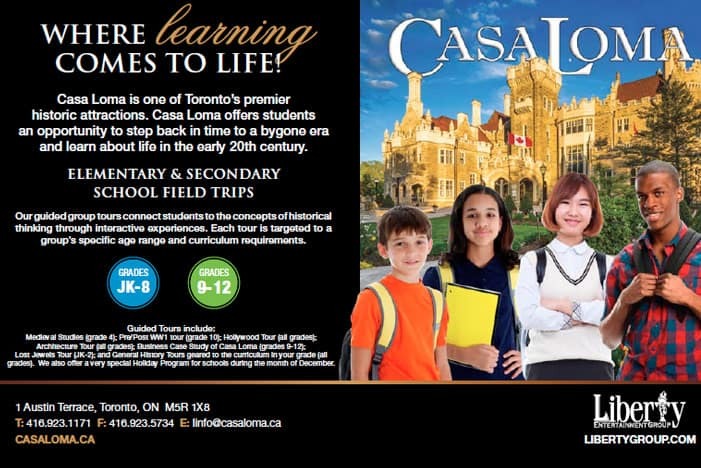 WELCOME TO CASA LOMA – WHERE LEARNING COMES TO LIFE. CASA LOMA IS ONE OF TORONTO’S PREMIER HISTORIC ATTRACTIONS! Originally home to Canadian financier, industrialist and military officer, Sir Henry Pellatt, the castle offers students a unique & interesting way to experience and learn about the early 20th century.